Fervently Conservative Keurig Owners of America, a previously underestimated special interest group, surfaced to the forefront of American conscience this week. This came after the coffeemaker pulled advertising from Sean Hannity’s Fox News show after the host’s seemingly soft stance over Roy Moore’s sexual misconduct allegations. Now the rippling “controversy” has ensnared another food company: This week, social media threw innocent bystander ConAgra into the fray. To recap: This past weekend, some Keurig owners made a show of destroying their machines following that company’s decision to pull ads from Sean Hannity’s Fox News program after his Roy Moore interview. On Monday, Hebrew National tweeted that it, too, had removed ads from Hannity’s show. Time for a public hot dog steamrolling? Not quite. 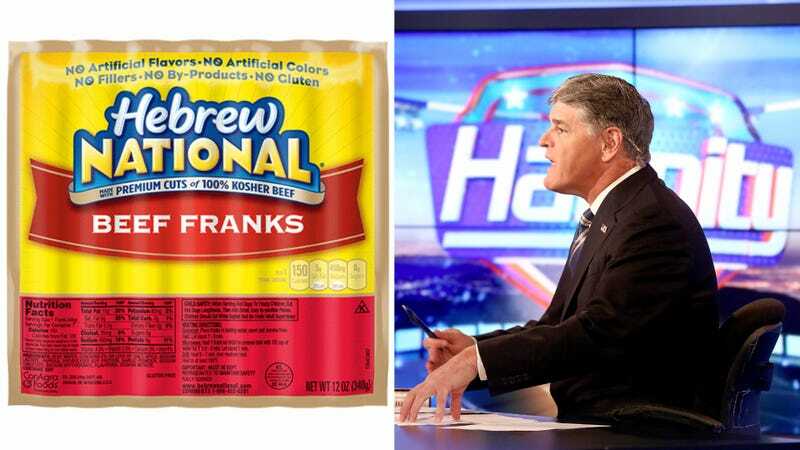 A spokesperson for ConAgra, which owns Hebrew National, later clarified that “Hannity” hadn’t been part of its media spend for almost six months, well before the Moore scandal. The lesson is that holding brands “accountable” for where they run commercials isn’t always fair. Large companies like ConAgra typically contract with an outside agency to head up creative strategy as well as media buying. And this agency’s media buyers aren’t calling up Fox News to say “Hey, we need a 30-second spot on the Hannity show because boy, does that man have great ideas!” Instead, they’re buying large blocks of airtime and audience segments that are then spread around networks and programs. If their commercials end up on a certain show, it’s generally not because they asked them to be placed there. On the flip side, some brands are politically outspoken when it comes to entertainment sponsorship. And just look at how well that worked for Papa John’s.